Healthcare is becoming more democratized, with providers and patients possessing more data, an accelerating pace of data exchange and better tools to interpret results, according to Stanford Medicine’s just-released 2018 Health Trends Report. Driving the movement are advances in AI and machine learning, partnerships between tech companies and healthcare organizations and efforts to ensure data privacy and security. 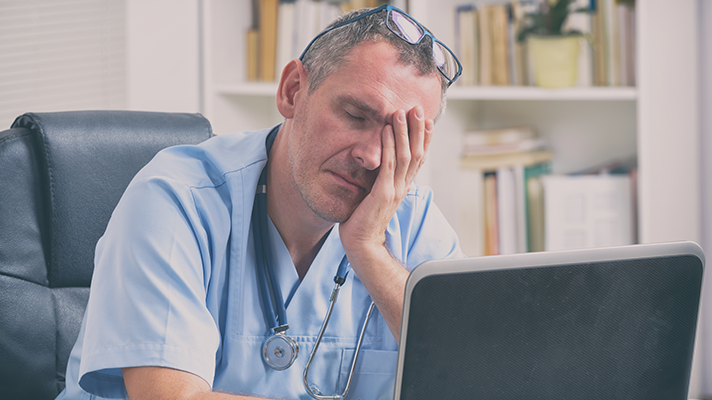 Still, obstacles remain — among them, accessibility, data quality, physician burnout and ethical guidelines for sharing patient data for research and other uses. Big Data is changing healthcare, giving doctors new tools to diagnose and treat patients and creating new opportunities for patients to participate in their own health. The report notes the Apple Heart Study, a Stanford and Apple collaboration, is recruiting 400,000 people to study how accurately Apple Watch detects atrial fibrillation. An initiative called Second Opinion, powered by Grand Rounds, lets patients obtain a second opinion from a Stanford physician from the comfort of their home. Key benefits of AI in healthcare include prediction, personalization, access, reduced costs and better outcomes, according to the report. True democratization is still a ways off, however. Among the biggest hurdles are interoperability and lack of standards for EHR data preparation. “The biggest problem is that our data are not prepared in a way that allows us to even make sense of it,” Amy Abernethy, chief medical officer, chief scientific officer & SVP oncology at Flatiron Health, told Stanford Medicine. Security, privacy and safety also are key as more patient data is stored in EHRs and health systems remain targets of cyberattacks. As more intelligent computing systems come into play in healthcare, the lines also blur around who owns data, adding to confidentiality concerns, according to the report. That said, the traditional doctor-patient relationship will continue to underpin progress in healthcare and partnerships be built with patient trust in mind. “Patient safety remain at the forefront of industry priorities, for good reason: if protections erode, trust in these medical advances will dissolve, greatly limiting the benefits,” the report states. A report by the Healthcare Information and Management Systems Society (HIMSS) and sponsored by wearables pioneer Fitbit suggests health coaches — professionals who facilitate patient treatment and education for physicians — could help improve the use of patient-generated data from wearables. HIMSS surveyed 101 healthcare IT and hospital administrators for the report, which found that half of hospitals and health systems planned to connect patients with a health coach or were already using health coaching. Mid- to large-sized organizations were three times as likely to do so than small healthcare systems. Survey participants said the top three barriers to using wearables to generate patient health data were costs, issues integrating data into the patient record and data overload on providers. In contrast to widespread skepticism that greeted the devices when they first came to market a decade ago, health systems are no longer questioning the value of patient-generated health data, the report said. Fitbit recently launched Fitbit Care, a connected health platform that combines coaching and virtual care to help people manage chronic conditions. The product combines Fitbit’s wearables technology with the Fitbit Plus app and Twine Health’s disease management platform with the aim of increasing patient engagement and care coordination. Fitbit acquired Twine in February. The HIMSS/Fitbit survey found that 79% of respondents agreed they would like to have more data about patients between encounters such as office visits, and 72% said they need patient-generated data to make good decisions on chronic disease management. Of those respondents already incorporating data from wearable devices in their workflow, 90% see it as strategy that can positively affect management of chronic conditions such as type 2 diabetes, obesity, hypertension and smoking addiction. The top three reasons to incorporate wearables data, according to the survey, are more timely interventions, immediate feedback and improved patient accountability. Timely interventions improve patient motivation and behavior change. “We are learning to trust the data. Furthermore, we’re learning how to make actual wearables and activity monitors more effective tools in both preventing disease and managing chronic disease,” senior manager of the Personal Connected Health Alliance at HIMSS John Sharpe said. The report suggested that health coaches along with advances in interoperability can accelerate the integration of patient-generated health data from wearables. Anthem found out the hard way just how costly health data breaches can be. Last month, the health insurer agreed to pay OCR $16 million to settle HIPAA violations resulting from the breach of 79 million members’ electronic PHI during a series of targeted cyberattacks in 2015. The settlement, the largest-ever HIPAA fine, follows a separate $115 million settlement in August to cover four years of credit monitoring, claims, costs and fees associated with the affected individuals.